Phase 1 of this project consisted of extending NW 38th Avenue, spanning Fisher Creek, a seasonal fish-bearing stream, and impacted just under a half-acre of Fisher Swale, a Category IV wetland associated with Fisher Creek. Phases 2 and 3 included impacting 2.18 acres of wetland and a jurisdictional ditch. 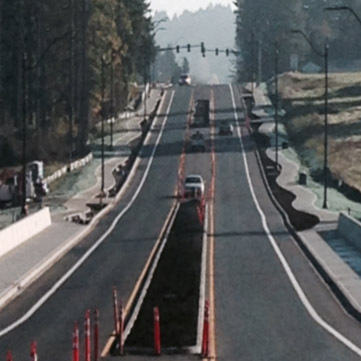 The project had to meet design standards of the City of Vancouver, the City of Camas, and the Department of Transportation. ELS conducted field work and wrote the critical areas reports, mitigation plans, JARPA, WDFW HPA, and for the NEPA process prepared the WSDOT Local Agency Environmental Classification Summary and two discipline reports. The environmental justice report analyzed effects to minorities and low-income groups, and the no-effect letter analyzed impacts to species and critical habitats protected by the Endangered Species. In Phases 2 and 3, ELS designed mitigation that included wetland creation and enhancement, connecting the jurisdictional ditch to the wetlands, re-aligning a Type F stream channel and creating floodplain and wetland habitat that also detains stormwater after it is treated.